Will Saudi Arabia Survive Unchanged After Jamal Khashoggi? 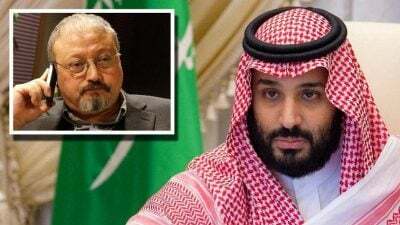 While the body of the murdered Jamal Khashoggi, a columnist for the Washington Post has not been found, the government of Saudi Arabia has admitted that he is dead, killed during an interrogation gone wrong in their Consulate in Istanbul. But the Turkish President Erdogan insisted that it is a pre-meditated murder, which the Saudi Attorney General owned up to recently. Interestingly, a recent report in the British daily, the Express, reported that the British Government Command Headquarters (GCHQ) had intercepted communications from Saudi Intelligence some two weeks before Khashoggi’s disappearance, containing instructions for the latter’s capture and forced return to Saudi Arabia, which according to British intelligence sources was left open ended should there be resistance. Apparently they advised Riyadh against it but, as has transpired, the Saudis had obviously ignored them. But the source was at pains to point out they have no idea whether the Saudi Crown Prince, Mohamad bin Salman (MbS), was even aware. The question though is, why was Khashoggi not advised of this threat — apparently Washington too was not in the dark — because in an interview with the BBC Khashoggi’s fiancée said he had not shown any visible signs of fear. We are told by British intelligence sources that Khashoggi was about to whistleblow on the Saudis use of chemical weapons in Yemen, which means he was viewed as a security menace by the Saudis. This leak, if true, explains the attempted rendition, if not the murder. But, what is puzzling is the furore caused in Washington and many European capitals, one that has been kept on the boil by mainstream media suggesting that this incident will not go away without costing Saudi Arabia dear, the lack of hard evidence notwithstanding and the blunder of Saudi admission fatal. And so, what could be the aftermath of the Khashoggi murder on Saudi Arabia? Top of the list of possibilities is regime change. Many observers, including Washington insiders, argue for possible regime change. That initial reports went out of their way to implicate the Crown Prince would suggest this. One interviewee on Al-Jazeera’s “Inside Story” says that Saudi Arabia will now no longer be considered a reliable ally as long as the Crown Prince runs the country. His track record damns him: he ‘kidnapped’ the Lebanese Prime Minister and forced him to resign; the war on Yemen which he escalated that has turned out to be genocidal in intent; and, the imprisonment of feminist activists. It is also no secret that the Crown Prince has made enemies from among the Royal princes. He detained the richest among them in Riyadh’s Ritz Carlton to shake them down like a Mafia boss, albeit for the country’s treasury. This did not endear him to them. Additionally, in the resulting mayhem two princes were killed. They would want revenge and ousting MbS would be a dream come true, but such decisions belong to the House of Saud’s Allegiance Council, comprising the ruling family’s senior princes, who agreed to Mohamad Bin Salman’s appointment as Crown Prince in the first place. But the return of self-exiled Prince Ahmad bin Abdul-Aziz Al Saud, brother to King Salman, in the last few days, with his safety guaranteed by the Americans and British might yet spell sweet revenge for the Crown Prince’s enemies. Ahmad bin Abdul-Aziz, a member of the Allegiance Council was one of the few who did not support Mohamad bin Salman’s appointment. However, he himself was by-passed by the Council for the position of Crown Prince, which opted, instead, for his brother Nayef bin Abdul-Aziz Al Saud because they deemed him too weak. Nayef’s health it was that opened the way for Mohamad bin Salman. In standing behind the weak Prince Ahmad do Washington and London then feel he can be asked to do their bidding at will? Mohamad bin Salman is too valuable to the America Israel Public Affairs Committee (AIPAC) because he is instrumental to the further strengthening of the Saudi-Israel relationship. Between Mohamad bin Salman and Jared Kushner, President Trump’s senior adviser and son-in-law, the ground is being prepared for the Kushner proposed Palestine solution which, according to leaks, would be overwhelmingly advantageous to Israel. But might not a Crown Prince completely compliant to American will — the King posing no obstacle because of alleged dementia — achieve the same end and thus eliminate any resistance even by this most powerful Jewish lobby group? As to the war on Yemen, if this latest manoeuvre works, it can be fashioned at will depending on its primary objective. Whose war is it? Both Washington and London are fuelling it, the former even with boots on the ground. Iran is accused of supporting the rebels. Reports, though denied by Tehran, allege Iran arms the rebels. Saudi Arabia is spooked by the Iranian influence over the Houthis, the rebels. Iran has become an excuse for reinforcing the American role in Yemen which has its own history. And, it is worth remembering the civil war in Yemen has its roots in the 1960s when the foreign powers involved were Egypt and the British. Surely a straightforward civil war is easily solved, but not this one. One doubts, therefore, that a regime change by Washington would alleviate the suffering of the Yemenis. But is a regime change without challenge? According to the media the Sauds as a family feels that Mohamad bin Salman is too tainted and has injured their image. But they have already decided that Ahmad bin Abdul-Aziz is “too weak” to even be a Crown Prince, what more a King, when the time comes. Rumours though, suggest that Ahmad bin Abdul-Aziz has gathered support from a few powerful princes. What of the ulama around whom the family’s stranglehold on the throne has revolved? Can a divided Royal family rely on a fatwa that will support one against the other, if the people are to be placated when Ahmad bin Abdul-Aziz is clearly the choice of ‘infidels’? Furthermore, history has shown how much a strong leader is valued by the family, the reason why King Faisal was able to overthrow his older brother, the easy-going King Saud. Should Washington and London’s political interference in the Saudi succession fail what other options are left to the Zionist imperialists? While a revolutionary change in Saudi Arabia is hard to envision, there is talk of establishing a constitutional monarchy. The close cooperation between the Royal household and Islam has always meant that the citizenry is not open to change without a fatwa by the ulama. And, although a binary fission among the ulama class is said to exist both sides are conservative Wahhabis who view democracy as damaging to Islam. But, is the “unreliable” Mohamad Bin Salman with the absolute power he wields, tempered only by his father, a threat to the American economy? Saudi Arabia, through its leadership of OPEC, is pivotal to the survival of the Petrodollar, the instrument that guarantees the US dollar’s status as the world’s premier reserve currency. It is this that has allowed America to borrow with impunity allowing her to execute a policy of perpetual (imperialist) war. Today the US national debt is over US$20 trillion. A collapse of the Petrodollar then is dangerous, if not fatal, to the US economy. If Mohamad bin Salman, the undependable, threatens the economic security of the US would Washington decide to invade Saudi Arabia, when left without option? The war of words between the two countries began just before the Khashoggi murder. Furthermore, historical evidence shows that at the height of the oil embargo of the 1970s America had plans to invade but that was averted by the then King’s rabid antagonism towards Communism. The threatened defeat of America at the hands of Communist Vietnam ended the embargo. Today, the US finds its premier global position threatened. Could this be why the Crown Prince has built strong relations with Russia? President Putin has remained aloof from the hyper-excitement of Washington and Europe with regard the Khashoggi ‘murder’ case saying that he is not privy to information that makes judgment possible. The Russian delegation to the MbS inspired “Davos in the Desert” was substantial. In fact, many think that Russia will benefit most from the Jamal Khashoggi fallout. Askiah Adam is the Executive Director of the International Movement for a JUST (JUST) World. She is a frequent contributor to Global Research.